Because...Boomerang. Sorry, Facebook joke. 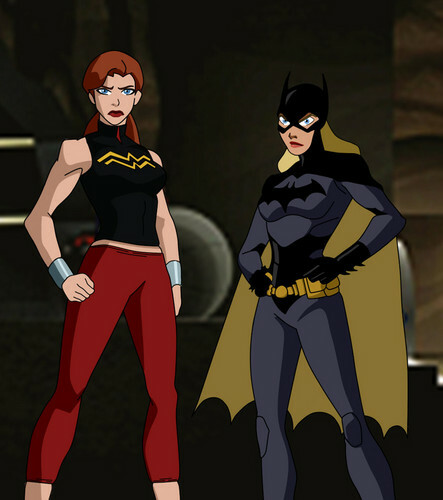 But Babs and Cass switched uniforms. Looks pretty good!!!!!. HD Wallpaper and background images in the Юная Лига Справедливости club tagged: young justice batgirl barbara cassie wondergirl.